We have a drive through cash and carry service available to all customers. We accept most major forms of card payments. NOTE: We do not deliver to mainland UK. Value for money Smokeless Fuel. Supertherm burns with an attractive flame, is slow burning, and banks overnight. This powerful fuel has been shown to produce up to 80% less smoke and 20% less carbon dioxide than house coal. Stoveheat Premium is a long lasting and reliable alternative to anthracite. Stoveheat has been shown to produce 80% less smoke and 25% less carbon dioxide than house coal. Slack is recommended for ‘banking’ down the fire at night, which will help maintain longer burning throughout the night. Ovoids are a manufactured smokeless fuel. Ovoids will burn for long periods leaving minimal ash. 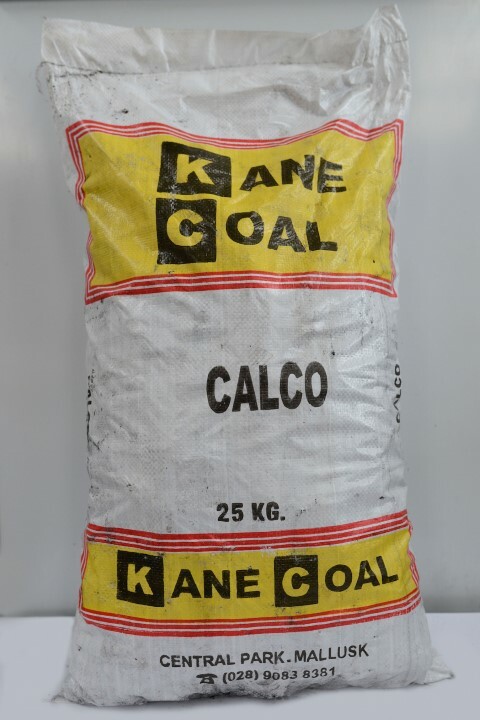 Superheat is a blend of Doubles and Low Suplhur Petroleum Coke Doubles (Small Calco). This fuel gives out excellent heat, leaves very little ash and provides great value for money. Cosy Flame is a manufactured smokeless ovoid. It produces excellent heat and leaves very little residual ash. It has an attractive long lasting flame and is easily controlled. It does not spark or spit like some bituminous coals. A Medium sized Grade ‘A’ Anthracite. Esse has a high heat output and is a really clean burning fuel with minimum ash. This fuel needs a continual supply of air to get started, but will provide you with a long lasting fire. Kingsfield Horse Haylage gives you the confidence of knowing that it is specifically produced for your horse. Free from ragwort and docks and is completely natural, and free from any additives or preservatives. Suitable for Catering grills and home BBQ. Packed in 4 x 1.5kg individual bags. Lights with a single match. Ready to cook in 15 mins. No firelighters required.